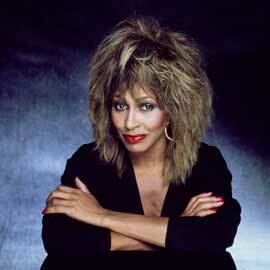 Here is Tina's message at the opening of the Tina Turner Museum. The red ribbon was cut by Rhonda Graam, Tina's personal assistant and Stephen Sills, the architect. And there were a lot of tears during the opening. People genuinely were moved. More photos to follow later on. 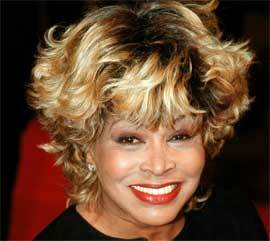 The Tina Turner Museum has been opened. 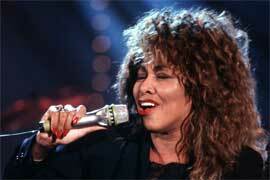 Here is an article about it with some words from Tina Turner. What’s Love Got to Do with It? Everything --- a love of Tina Turner’s music and pop culture legacy, a love of historic preservation, a love of local communities and most of all a love for honoring the memories of those that traversed through the doors of Flagg Grove School. The Tina Turner Museum Flagg Grove School exhibit opened Friday, on the West Tennessee Delta Heritage Center’s (WTDHC) grounds to a room packed with music industry executives, Tina Turner team members, Tennessee dignitaries, former school mates, journalists and fans. "This was a two year journey for the West Tennessee Delta Heritage Center that began with a dilapidated building that was discovered in a field in Nutbush, Tn." said Executive Director Sonia Outlaw-Clark. "To be here today, opening the doors on this exhibit which will remain free to the general public, is truly a dream come true. The history that developed within the walls of the Flagg Grove School and the iconic impact of former student Anna Mae Bullock better known as Tina Turner is one that we are proud to celebrate in Brownsville, Tn." In a ceremony that featured comments from Rhonda Graam, Tina’s personal assistant for more than 50 years, Jim Fifield, former President of EMI Music Worldwide and many state and local representatives, the story of the Flagg Grove School and Tina’s lasting impact was celebrated and honored. Via a special video that was filmed on the set of her latest IO commercial in Switzerland, Tina recalled the impact of education on her career. "Everyone has a dream, but I have to say that your dreams cannot work without education," said Tina. "It’s essential. It goes hand in hand. These days you must communicate with people. If you want to run your business, you need to have an education or you will have to depend on someone else and that is not always comfortable." She continued providing a personal perspective on her career. "I stand for an example for poor children --- to show them that it is possible. If you just go straight ahead and stay on course you can achieve success; with determination despite hard times and not letting that stop you. I hope that as people walk through the school they see that I set an example for a home town girl that grew up in hard times that made a good life for herself and to follow by example". Several celebrities and public figures offered their personal memories and congratulatory statements as well. "How in the world are they going to fit everything you’ve done into one place? All your vast accomplishments, your beautiful music, your style, your compassion and your passion. Thank you! I am one of many that you have inspired and I love you for that. Tina, you are ‘simply the best. Better than all the rest. Love ya." - ABC Good Morning America’s Robin Roberts. "Congratulations, what a great honor. I remember my first Grammy nomination. You, of course, won as you should. I have been so inspired by you all my life. You are just the definition of Rock and Roll ---The Queen of Rock and Roll as far as I’m concerned. Also, when you were honored with the Kennedy Center Honors, I loved singing Nutbush City Limits for you. You are just amazing. I hope you feel the love the fans have for you and the whole world. You made a big difference Tina." – Melissa Etheridge. "She will be forever famous as the girl from Brownsville, Anna Mae Bullock, who made it enormous. My special recollection comes from our first show as the Beach Boys, December 31, 1961 at Long Beach Memorial Auditorium. There was a Ritchie Valens memorial dancing show and Ike Turner and the Kings of Rhythm featuring the Ikettes were on the show. 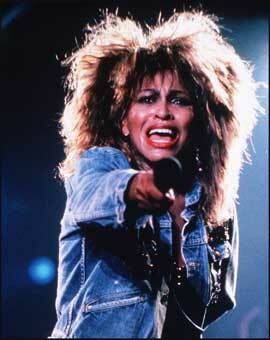 Tina Turner literally blew my mind. How incredible they sounded and what an incredible groove they struck. 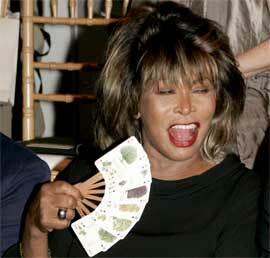 It was foretelling the force of nature called Tina Turner, which was not to be stopped. We congratulate you and we love you for what you’ve done and how you’ve done it." – The Beach Boys - Mike Love. "I remember one time after a Beach Boys concert, as your solo star was beginning to ascend, we were lucky enough to find you at that huge club in the Chicago Hyatt Hotel. Unbelievable! Blew my mind. Honey, from all the Beach Boys to you, you are the miracle singer". – The Beach Boys - Bruce Johnston. 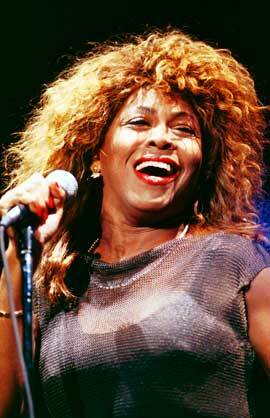 "We love you Tina Turner. We’ve loved you for years and years and years. Congratulations on that great, new museum. We’re proud for you". - The Oak Ridge Boys. "Congratulations to you on your museum and all of your other accomplishments, but in particular I wanted to say something about your indomitable, fiery spirit. So please don’t lose that. I know you never will. I love you. I’ve always listened to you and looked up to you. Congratulations and love" - Ann Wilson from Heart. "We worked with you many times Tina and you were always great. Congratulations on your museum in Brownsville, TN" – Fred Cash of the Rock and Roll Hall of Fame Group The Impressions. Designed by renowned interior designer Stephen Sills, the museum sanctioned by Tina features multiple costumes from designers Bob Mackie, Giorgio Armani and Versace, gold record awards, and photos from Tina’s personal collection. The exhibit, which is free for all visitors, is located adjacent to the WTDHC at 121 Sunny Hill Cove, Brownsville, Tn. 38012. Open Monday through Saturday, 9 a.m. to 5 p.m. and Sunday, 1 p.m. to 5 p.m., the museum will serve as a destination stop for those traveling between Memphis and Nashville.